Supporting our community to hold elected leaders accountable. One of the best ways to advocate for our students is to stay up to date on what is happening with the district. Board Watch provides insight into the decisions and legislation of the Oakland Unified School District (OUSD) Board of Education. 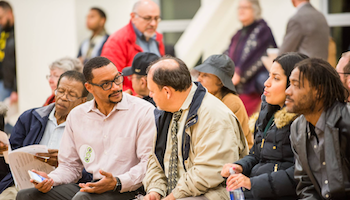 The Tuesday before every Wednesday Board meeting, the GO team sends out a summary of the issues that will be presented to the Board and provides context to help you make meaning of what’s happening in OUSD. 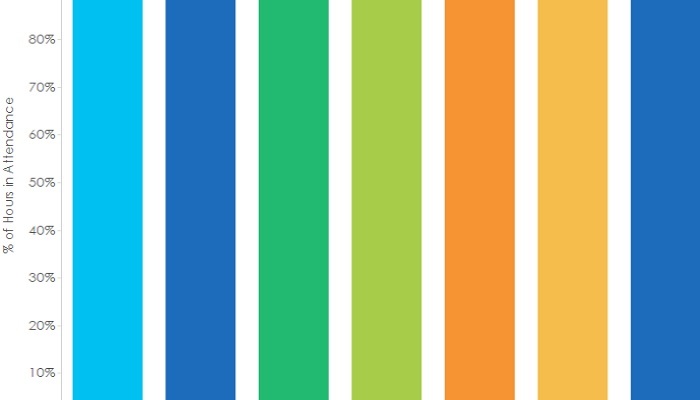 The GO team has aggregated all the legislative items and votes from OUSD Legistar into an easily searchable, filterable database to make it easy to learn about the issues you care about. The Board Watch will tell you what to expect before the meeting. 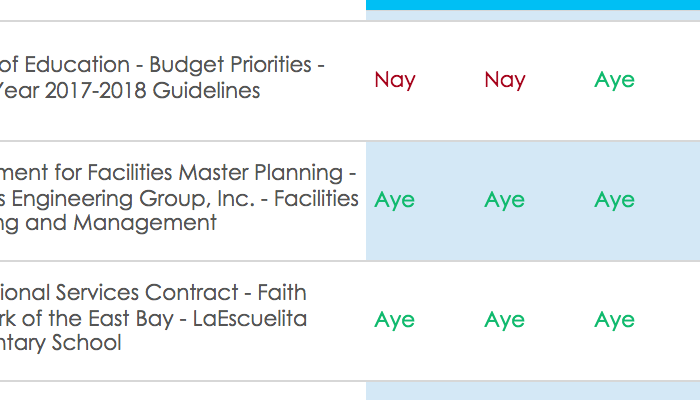 Afterward check the Vote Tracker to see how the Board Directors voted on each legislative item. The Attendance Tracker consists of year by year snapshots that show the estimated percentage of the total number of hours of school board meetings for which each OUSD Board of Education Director was present.